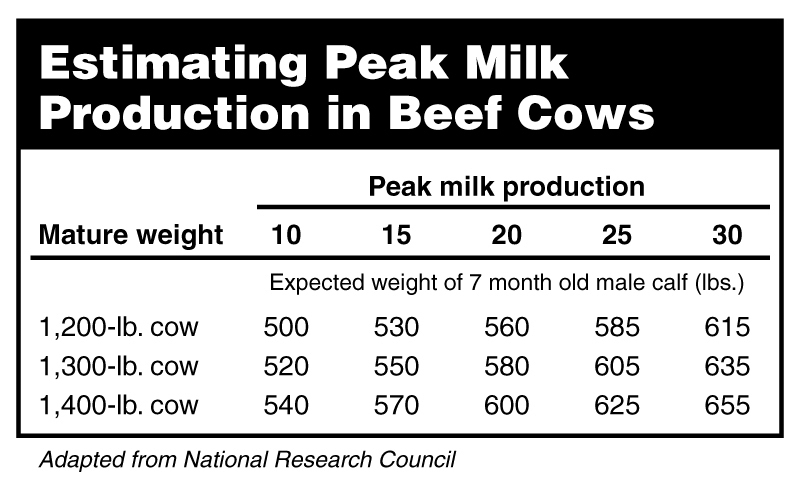 "The first 60 to 90 days post-calving is the most nutritionally demanding period in the production cycle of a cow and arguably one of the most important in achieving production goals," says Janna Kincheloe, the North Dakota State University Extension Service's livestock systems specialist at the Hettinger Research Extension Center. "A reasonable estimate of milking ability is necessary to ensure that available feed resources can support the cow herd," Kincheloe says. "If milk production is too high for a given environment, negative impacts on cow performance and calf weaning weight will reduce profit potential." Native range generally can meet lactating cows' nutrient requirements in the northern Great Plains during peak forage production in late May and early June, Kincheloe says. 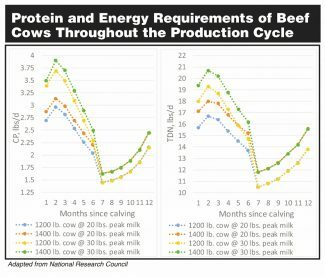 However, cows that have calved prior to the first part of April will reach peak milk production before most forage species will be able to provide necessary nutrients. In addition, turning cows out to pasture too early will reduce forage health and production, as well as animal performance. Therefore, producers often need to supply higher-quality forages and/or supplements in early spring to support cows' increased requirements during lactation. The appropriate supplement for a given situation should be evaluated based on nutrient content of the basal diet, as well as price and availability of the supplement. The NDSU Extension publication "Comparing Value of Feedstuffs," available at http://tinyurl.com/ComparingFeedstuffs, can help producers compare supplements on a cost per pound of nutrient basis. 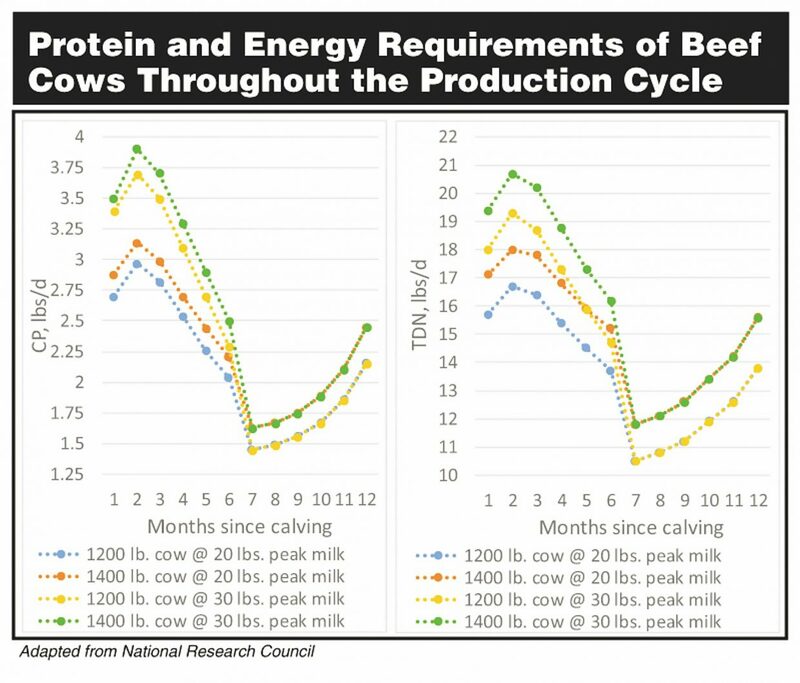 "Supplying adequate nutrition for lactating cows is extremely critical in ensuring production goals are met," Kincheloe says. "It is important to develop rations that can economically meet this challenge, particularly when feed prices are high. 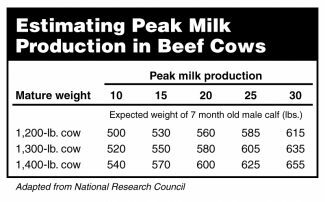 Producers should keep a close eye on milk production to minimize feed costs and ensure a good match between their environment and the genetic base of the cow herd."